Stem-cell therapy has been lauded as the way forward in the repair of tendon damage, but it transpires horse owners would rather prevent the potentially career-ending injuries in the first place than shell out for costly treatments. “What researchers are focusing on is not necessarily what people want,” admits Professor Janet Patterson-Kane, professor of veterinary pathology at the University of Glasgow in Scotland. 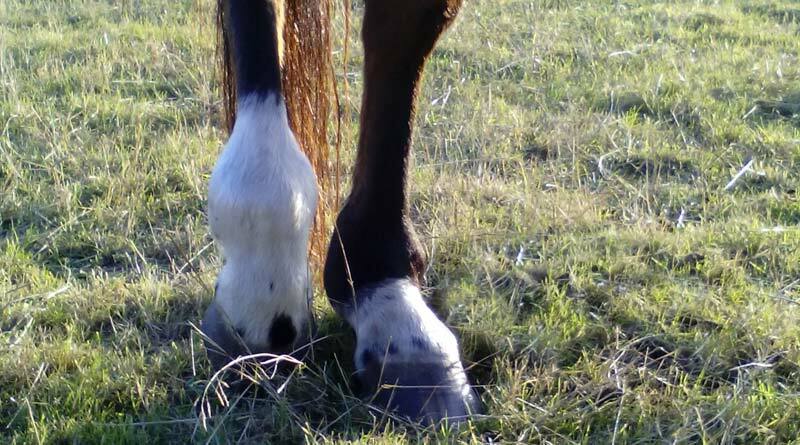 The difficulty lies in early diagnosis of injuries to the superficial digital flexor tendon – the equine equivalent of the human Achilles tendon. While there are various degrees of damage before it ruptures, and before the horse is even visibly lame, it is very difficult to detect. Once a tendon weakens to the point that it ruptures, it will never be the same again. There currently is no simple test that can be carried out to find this damage in its earliest stages. Superficial digital flexor tendon injuries can affect up to 30 percent of thoroughbred racehorses and are both exercise and age-related. The condition is also known as a “bowed” tendon. Despite apparent advances in stem-cell techniques to repair damaged tendons in horses, trainers and owners who met with University of Glasgow researchers said they would like more help preventing costly injuries in the first place. This, they said, was where researchers should focus their attention. The problem for owners and trainers is that tendon injuries are slow-healing and can easily recur, effectively ending the racing career of many horses. Patterson-Kane acknowledges that prevention strategies could make a bigger difference – for example, there have been success stories in general injury prevention through paying attention to issues such as race surfaces and animal welfare. However, the industry still had to ask itself if a 30 percent tendon injury rate was acceptable, she said. Lincolnshire-based racehorse trainer and veterinarian James Given, who contributed his views to the study, said: “The superficial digital flexor tendon is a fairly common injury – we probably see a couple of horses here every year or so with it. “Some horses do come back from it to race again, but I think most trainers feel that once an injury has occurred it’s certainly a career-limiting event, if not career-ending. “The problem with this type of injury is it’s a binary condition – either it’s injured or it’s not. It can’t be injured a little bit. “The costs of the injury vary, depending on what treatment you go for. Stem cell treatment is very expensive or you can rest the horse, but there are the costs of stabling and exercising. Given said there were many treatments used for the condition but no single one seemed to be better than another. Finding a way to obtain early warning of tendon damage would be of great benefit to human athletes too, the researchers added. Patterson-Kane said: “Achilles tendon injuries for athletes are increasingly common and once injured, they reinjure very easily, putting an end to many careers. The study authors suggested research to further identify factors involved in tendon injury, links between training regimens early in life and subsequent performance, and the development of imaging and blood testing strategies for the detection of early signs of injury should be pursued. The study, funded by the Biotechnology and Biological Sciences Research Council, was published in the Equine Veterinary Journal.